Simply gouache is an affordable range of colours which can be used to paint on all conventional watercolour surfaces. All 24 colours in the range have been formulated to give opaque colours with strong covering power. 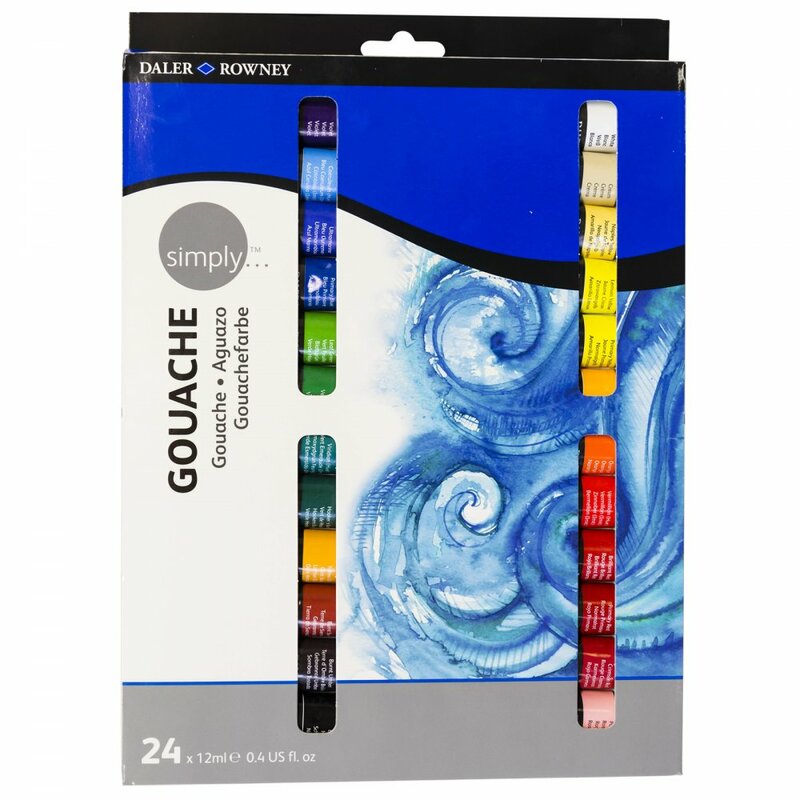 Showing 2 Daler Rowney Simply Gouache 24 Tubes* reviews. Average rating of Very Good. Would you like to write a review? I think 24 tubes of Gouache paint for £6.99 is very good value, especially as the delivery charge is so reasonable too. I did a comparison between Watercolour and Gouache and will post a picture on the Facebook page. Overall, very pleased with the results. Simply Gouache are student quality and not artist - but the price for the paints is unbelievable. There are 24 x12 ml tubes all different colours. I use them to enhance my paintings (mainly watercolour) - alongside Artist Quality Gouache. I find that the 'simply' range needs less water than the artist range and they are not as opaque. They do mix well with other paints which is certainly a bonus and they do not dry to a chalky finish like some other cheap gouache paints.